Two 3-day “comic” conventions happening next weekend — one in Canada, one not. In Toronto, it’s the 2nd Wizard World Toronto Comic Con. As with last year, we won’t have a booth, as only one of the Executive will be in attendance at the event: representing Comic Book Daily and the Awards will be Mohawk College’s Comics History Prof Mr. Chris Owen. If you are looking for a rep from the organization to touch base with you can ask for Chris at the Comic Book Daily fan table. 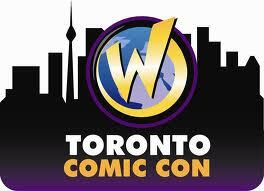 With WWTO shrinking considerably (moving into a hall 1/2 the size as the one it was in last year), few non-local comics guests and very little comics programming or comics dealers I am not expecting much, if any, comic news to come out of WWTO. I’ll be reading Comic Book Daily and other sites for their convention reports. Nevertheless, there are a lot of great local creators who are attending who deserve your support, so if you are going — take the time to buy a comic or graphic novel, print, sketch or piece of original art from them. Some nominees in attendance: Francis Manapul, Mike Del Mundo, Kalman Andrasofszky, Nick Mandaag, Conundrum Press, Anthony Del Col and Conor McCreery. The following creators are not appearing at WWTO – they were advertised and have been removed without fanfare (it seems they no longer keep a cancellations list on the site) so don’t expect to see: Joe Madureira, Carlos Pacheco, Bruce Jones, Gabriel Hardman, Ethan Van Sciver, Bill Sienkiewicz, or Chester Brown. 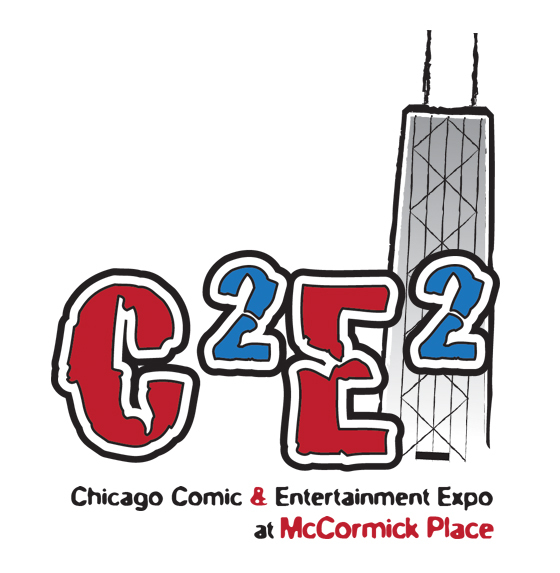 In Chicago, it’s Reed Exhibitions’ 2nd Annual C2E2 (Chicago Comic and Entertainment Expo). I will be at this event representing the Awards. For the duration of the con I will be mostly based out of the CGC booth (Booth 537). Occasional contributor to the site, Matt Allen, will be there as well and I’ll be pressuring him to get us some interviews. C2E2 really scores as the comics industry show of the weekend, and there should be plenty of publishing news coming out of the show, and we should learn more about some of Diamond’s plans for digital distribution (that will be revealed at the Retailer conference). Nominees in attendance: Camilla D’Errico and Jim Zubkavich along with some Canadian creators like Ramon Perez, Ray Fawkes and Blind Ferret Studios. Many of the publishers behind the nominated comics will be there including: Marvel, DC, Image, Oni Press and Dark Horse. Happy Anniversary Rob and Jenn! Finally — Congratulations to Robert and Jenn Haines as they will be celebrating their first wedding anniversary!